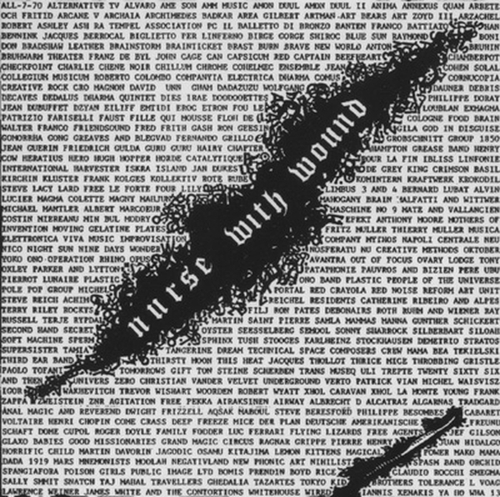 Nurse With Wound first published their list in 1979 (see the above scan of a sheet accompanying an album by Nurse With Wound), and then added some names with a second release in 1981. The titles of the albums are not on the list, and as a result collectors have speculated a lot about which albums may have influenced Nurse With Wound the most. You'll find a complete list on Wikipedia. On this page are only the names and titles of the albums I find interesting.